Principal Onjaleke Brown and her staff have much to do with the incredible academic gains pre-K students at N.W. Harllee Early Childhood Center are seeing. Data continues to show that students who attend Dallas ISD pre-K go on to academically outperform eligible students who do not attend Dallas ISD pre-K.
Derek Little, assistant superintendent of Early Learning, briefed trustees on Sept. 13 about how pre-K is setting up students for lifelong success. 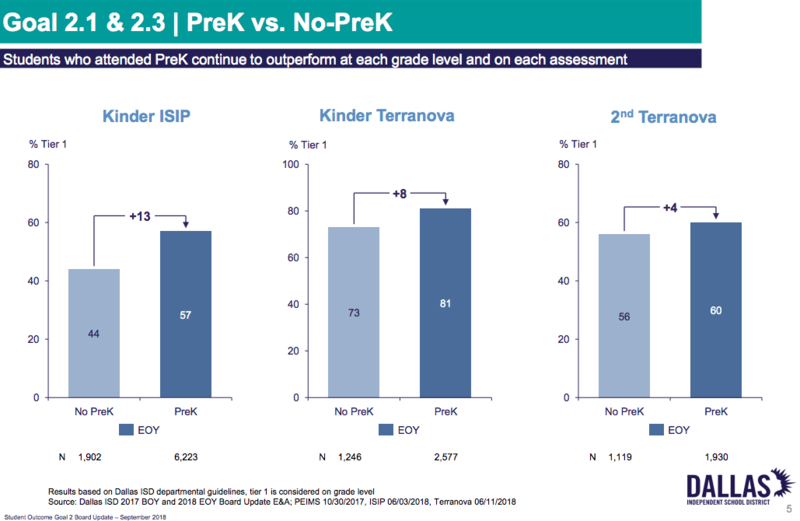 Little showed trustees the 2017-18 assessment data comparing students who attend Dallas ISD pre-K with eligible students who do not attend Dallas ISD pre-K.
Data shows that students who attend Dallas ISD pre-K go on to academically outperform eligible students who do not attend Dallas ISD pre-K.
Little also told trustees that enrollment in Dallas ISD pre-K continues to grow, especially for 3-year-olds. 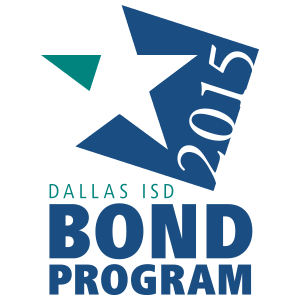 About 12,700 students are currently enrolled in Dallas ISD pre-K.